Dortmund Airport is concluding this year’s autumn holidays with a passenger plus of 12.8 percent. 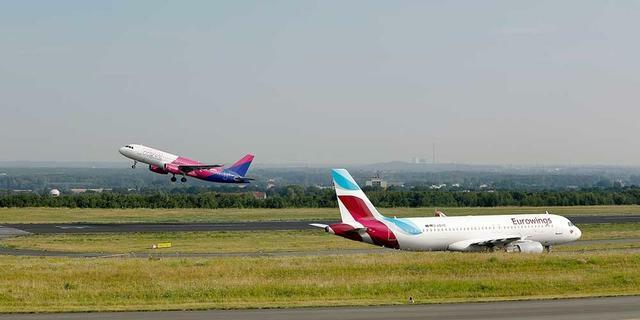 During the two-week holiday in North Rhine-Westphalia, a total of 108,678 passengers used Dortmund Airport. The flights to Katowice (12,170 passengers total) and London (Luton and Stansted: 10,256 passengers total) were particularly in demand. Many travellers once again used the opportunity to spend their holidays on the popular Balearic island of Palma de Mallorca before the winter. 9,931 passengers flew on the route from Dortmund to Palma de Mallorca during the autumn holidays. The sustained growth trend will mean that the target of 2.2 million passengers can be reached unhindered by the end of 2018. With the introduction of five new destinations by the end of December, the range of flights will be further expanded. Tirana, Albania’s capital, was added to the flight plan this week, which will be followed by Vienna at the end of November, and by Debrecen in Hungary, Pristina in Kosovo and Chisinau in Moldova in December.